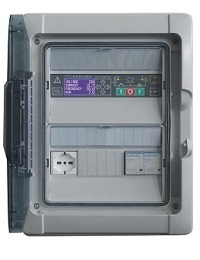 Automatic Mains Failure Panels suitable for industrial applications 25-160kVA with remote monitoring. These generator control panels are the ideal solution when you have to control stand-by generators for industrial buildings. The core is a two-micro controller based energy management BeK3 control system suitable for industry applications. The controller features MODBUS protocol to communicate with factory automation systems and CANBUS to communicate directly with SAEJ1939 compatible diesel engines. You can use traditional standard engines by using the programmable input/output lines if CANBUS is not available. The panel includes miscellaneous equipment: battery charger, electronic circuit boards, power relays and terminal blocks. The AMF controller is conveniently tasked with driving the Power Circuit breakers. The size of the circuit breakers capacity and wires defines the required Power rating of the panel. These AMF panels features an IP65 ingress protection. Available sizes on the market are normally in the range 25-160kVA. Other models are available on request up to 500kVA. HOW TO DIMENSION A PANEL, HOW TO MANUFACTURE PANELS, HOW TO INTERFACE A PANEL WITH A DIESEL GENERATOR. HOW TO CORRECTLY SETUP THE AMF CONTROLLER ON-SITE AND MUCH MORE. CONTROL & MONITORING TRAINING. THIS IS A MANDATORY TOOL FOR ALL PROFESSIONAL PANEL MANUFACTURERS. VIDEO CONTENTS CONTINUOUSLY UPDATED. The Be142 series generator control panels are the ideal solution for general purposes applications. These Automatic Mains Failure control panels are based on the powerful Be142 automatic mains failure controller & BE16 SMS Gateway. These generator control panels are designed for 15-160kVA standby generators configured as emergency electrical power supply for buildings. We focused our design criteria & effort to satisfy the customer requirement of a simple system to control the system via GSM mobile phone. You can receive by means of clear and simple meaning SMS notifications about the status of the system. In case of warning, you can take an action before damaging the generator or preventing the system not responding in case of power utility failure. In the same way, by typing on your mobile phone simple syntax SMS you can start the generator from a remote location. By using a special SMS, you can switch the load as well. 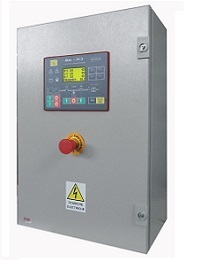 These Automatic Mains Failure control panels are the ideal solution for general purposes applications. 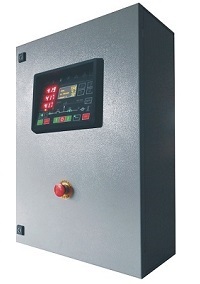 These Automatic Mains Failure control panels are based on the powerful Be142 genset controller. It is designed for 15-160kVA standby generators suitable as emergency electrical power supply for buildings. The design of the controller takes into account that 'simple' people may use the controller. So, the main feature is a user friendly interface. So, we focused our design criteria & effort to satisfy the customer requirement. We mean the needs of the end user of the generator. By adding the optional module Be16 you can control and monitor the generator by using a GSM mobile phone. You can use the embedded RS485 serial interface to communicate via MODBUS protocol. By adding the optional server TCP-IP you can connect the control panel to INTERNET. You will be able to pay full access to your standby generator in a way that you ca monitor and control the system at anytime. Generator Control Panels suitable for BTS applications 25-500kVA with remote monitoring. This is out of doubt the top line of Automatic Mains Failure (AMF) control panels. These panels are equipped with the Be2KPlus controller. 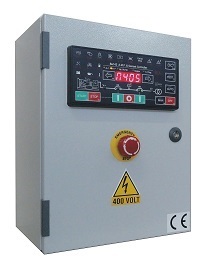 The Be2K-PLUS is a combined 3-phase AMF ATS & Generator Control System. The parameters, the alarms and operating functions are indicated by means of a high-performance 128X64 graphic display capable of operating in between -30°C and +70°C. This panel does not use LCD display, but taking the advantages of the ORGANIC ACTIVE LED technology will allow you to work in extreme temperatures. The display can work for a limited period of time up to 100°C. The electronic circuits are overdimensioned to cope with high surge voltages caused by lightning. The ideal use of this controller is in antenna stations (BTS) and Telecom application. This controller is a complete automation system that takes care to charge the emergency battery and to supply the air conditioner. When there’s a utility power outage, the EVOLVE turns on your home generator within seconds. The EVOLVE 9 is an advanced state-of-art compact Automatic Transfer Switch control panel. 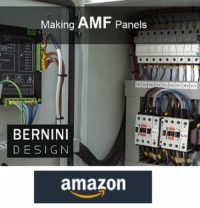 Bernini Design is leader in AMF Control Panels manufacturing suitable for home generators. EVOLVE 9 is the most advanced and compact solution for the control & monitoring of a stand by generating set, connected to the Mains Electricity Supply featuring an integrated 40 amps ATS. It cover the necessities of a small to large house. In other words, this generator control panel satisfies the necessities of one or two families. 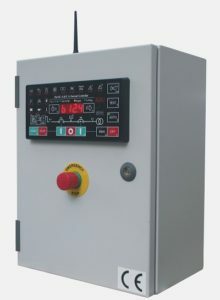 The rating of this generator control panel is 9kva 230Vac connected in a single phase arrangement. It is the ideal choice for houses and villas where you wish to be in full control of your electricity services. The plastic enclosure guarantees an IP65 grade of protection when the transparent door is closed to the ambient environment. The version 9KVA is fully configurable for SMS monitoring (by your mobile phone). A version suitable for 6KVA home generator is also available.